What The Heck Is Geocaching? ...and what can it do to help me in real estate? Well, I'm glad you asked because I have been geocaching (yes, it's a verb) for years and tell you about the real estate benefits. First, let's explain what geocaching is. Geocaching is a (mostly) adult game devised to use handheld GPS devices and have fun. Think of it as a global (yes, GLOBAL!) game of hide and seek where someone hides a cache (pronounced 'cash') and posts its GPS coodinates online. It is then other people's mission to find the cache. While the GPS coodinates get you close, the actual cache can be tricky to find. Many caches are cleverly hidden and some are puzzles leading to secondary caches. This global game started around 2000 as portable GPS devices started to be sold to the masses. It was a way to bolster sales, but now it has grown into a cult-like passion with lots of sub-games and benefits. Inside the caches are 'treasure' items. Originally, GPS and movie companies placed interesting trinkets inside caches to provide rewards for find. These early giveaway 'treasures' gave way to lots of creative innovation. Now, there are uniquely numbered geocoins and items called 'travel bugs' that allow players to move items to and from destinations based on a posted desired route. I also explain geocaching as a way to get geeks (like me) off their computer chairs to the great outdoors where they get exercise and tech at the same time. Nowadays, anyone can be a geek and Geocache because GPS is built into most smartphones. Players who hide geocahces must choose a location where they can regularly maintain it. This means they are usually hidden within the neighborhoods where they live. Also, they are usually hidden in interesting areas in an attempt to share that area with other game players. During vacations, I often use geocaching as a way to get out of touristy areas and into the 'real world' of locals. In Alaska, I discovered more beautiful and poignant points of interest than the ones suggested in my tour guide. It made my trip much more enjoyable and educational. The picture above is worth 1000 words. 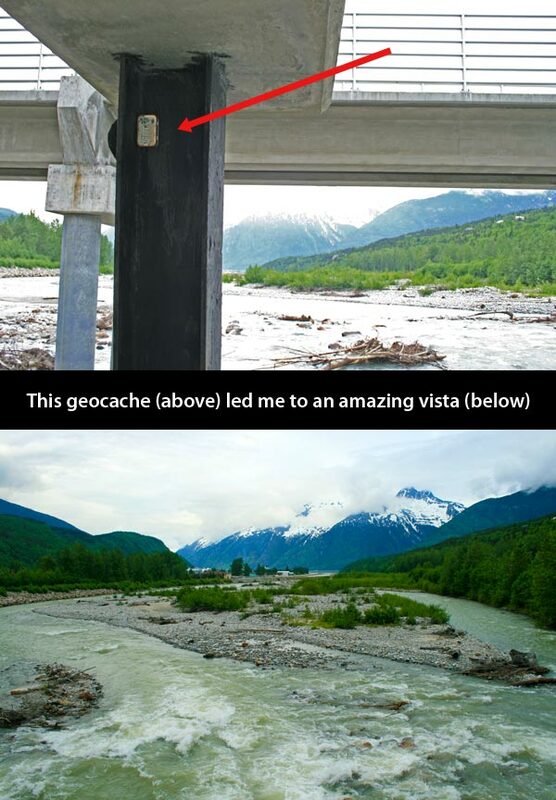 I can't tell you how much more alive and connected to Alaska I felt after discovering this very deliberately placed geocache (above). The local person chose that spot so that visitors could see his town from his eyes. Geocaching can definitely have impact in real estate. I have three caches hidden arouond South Florida. Each brings visitors into my personal view of the neighborhood. I use the locations of my geocaches to highlight the parts of my world that I love. What more do home buyers need to get an honest view of the best spots in their potential new neighborhood? 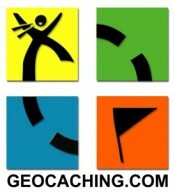 If you want to get involved in geocaching, go to Geocaching.com for a free account. Once on the site, look up the caches hidden by GeoHalf (that's me!). So get outside and have some fun searching for your new home and neighborhood in a unique and powerful way!